Paysafecard is an easy and secure way to pay for goods with cards issued by Paysafecard. Follow these steps to pay for Runescape gold with Paysafecard! Before buying RS GP, you need a Paysafecard card (Don’t worry, this is very simple!). Paysafecard is available at over 500,000 sales outlets around the globe! To find one close to you, enter in your address, postcode or town from this link: https://www.paysafecard.com/en-us/buy/ (Links subject to change for countries outside of the US). Once you’ve found one, simply head over to the location and purchase a card that they have stocked. Congratulations – you’ve got a Paysafecard! 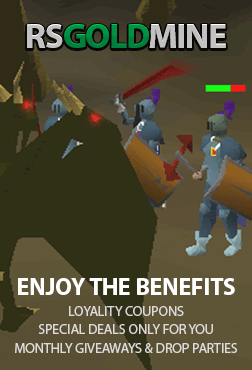 Now you’ve got your Paysafecard, and it’s time to purchase your RS Gold! The first thing to do is to head over to our page dedicated to buying RS Mills, which is at https://www.rsgoldmine.com/buy-runescape-gold. You’ll be met with our interface which is specifically designed for your ease when buying Runescape Gold. Simply choose between either RS3 or OSRS gold, enter in your desired amount of Runescape Gold, and your Runescape username (The account in which we will trade the RS07 Gold to!). Once you’ve entered those fields listed above, just hit the ‘Buy Now’ button. Don’t worry, we are so close! After hitting that ‘Buy Now’ button from Step 2, you’ll be automatically directed to our checkout page. Looking through all our options, find Paysafecard and select it. Also, if you’ve got a promotional discount code – enter that in! Once that’s all done, hit the ‘Checkout’ button in the bottom right. As soon as you hit that Checkout button, a tab will open from Paysafecard’s point of view. Simply enter in your Paysafecard 16-digit PIN (Psst – find the PIN on the backside of your card! ), agree to the Terms and Services and hit ‘Pay.’ You’re all done, hooray! Step 4: Collecting Your Runescape Gold We’re here! To get your RS Gold, connect to our live chat team by clicking the live chat widget at the bottom right corner of our webpage. From this point on, the live chat team will organize everything! Got any more questions? Our live chat team is always there! Enjoy your OSRS Gold!